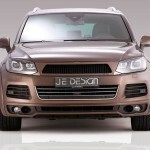 JE Design has released its widebody kit to suit Volkswagen’s Touareg, now including the R-Line model. 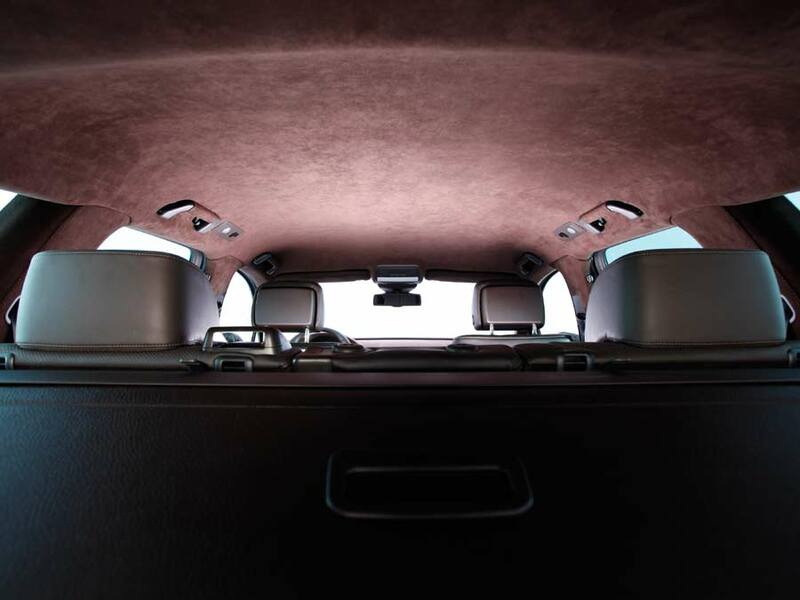 The kit, constructed from a mixture of polyurethane (PU) and a fibre-reinforced composite, can be bought complete for € 4,641, or as separate components, which include a replacement badgeless grille, lower front spoiler and wheel arch extensions. 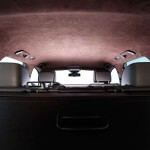 At the rear there’s a panel that fills out the lower section of the tailgate, and a bumper apron with integrated diffuser. 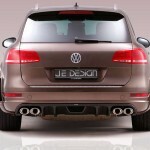 The new quad tailpipe exhaust can be added for € 595. 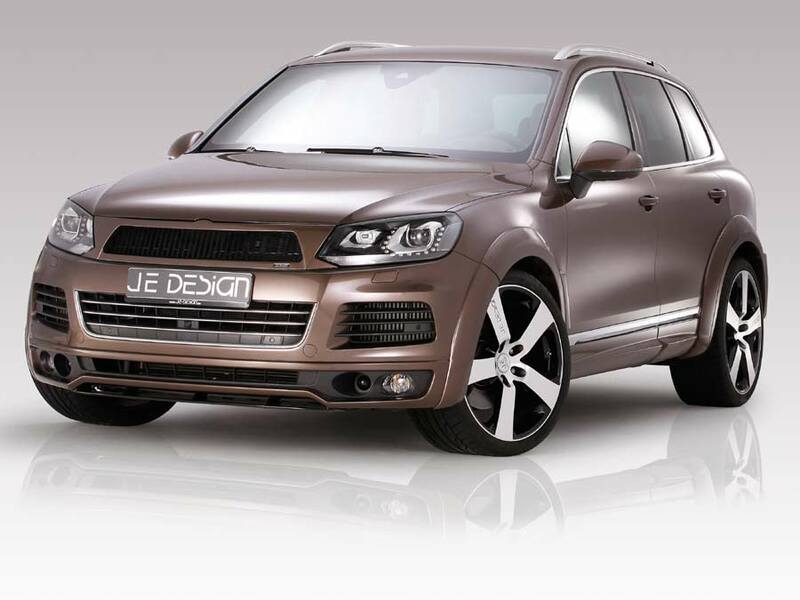 Filling out those new arches, JE Design adds its own 10×22 inch SUV-Select alloy wheels. 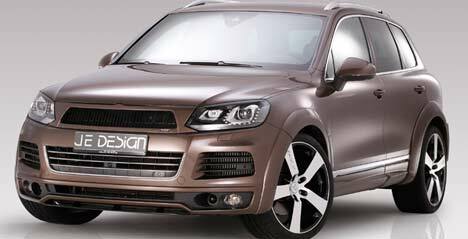 Available in three finishes: shadow silver with a polished face, matte black with a matte silver face, and matte graphite silver with polished edges, they can be purchased as a wheel/tyre package for € 5,190 Euro or € 690 per wheel. A spacer kit widens the track a little further (30 mm front, 40 mm rear) for € 409. 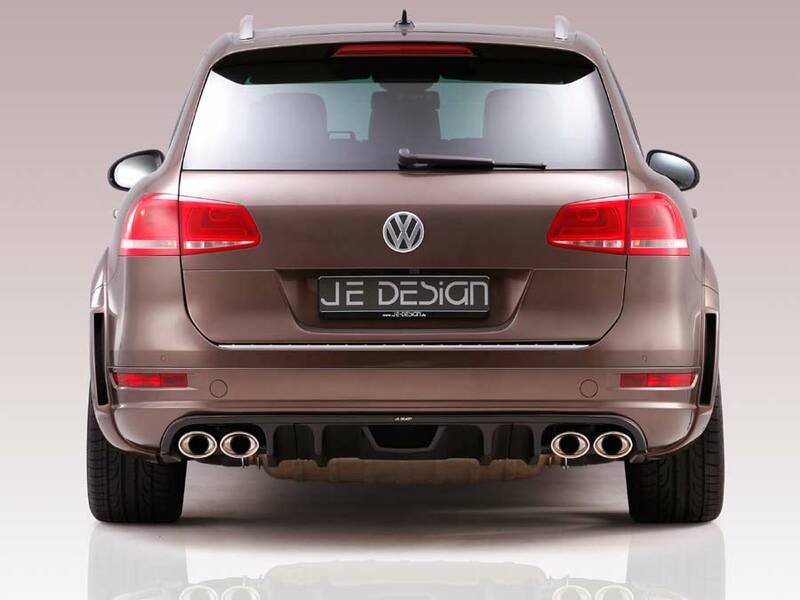 Finally, the Touareg is lowered by 35 mm – thanks to the € 1,428 lowering module for electronic suspension. 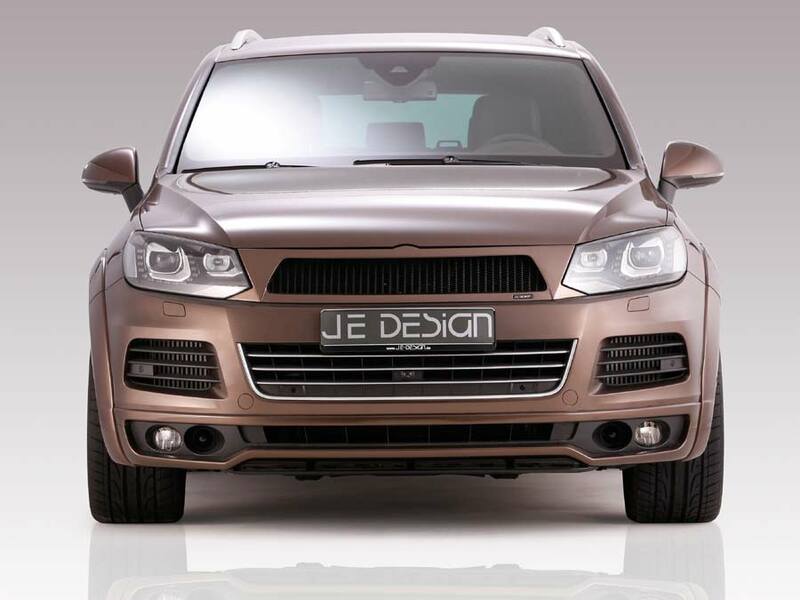 JE Design also offers engine upgrades for the Touareg: Reworking of the 4.2 L TDI engine’s management system sees a jump from 340 hp (250 kW) and 800 Nm of torque to 410 hp (302 kW) and 930 Nm. This results in a 0-100 km/h (62 mph) time of 5.4 seconds, down from 5.8 s, and an increased top speed of 269 km/h (167 mph), up from 242 km/h (150 mph). 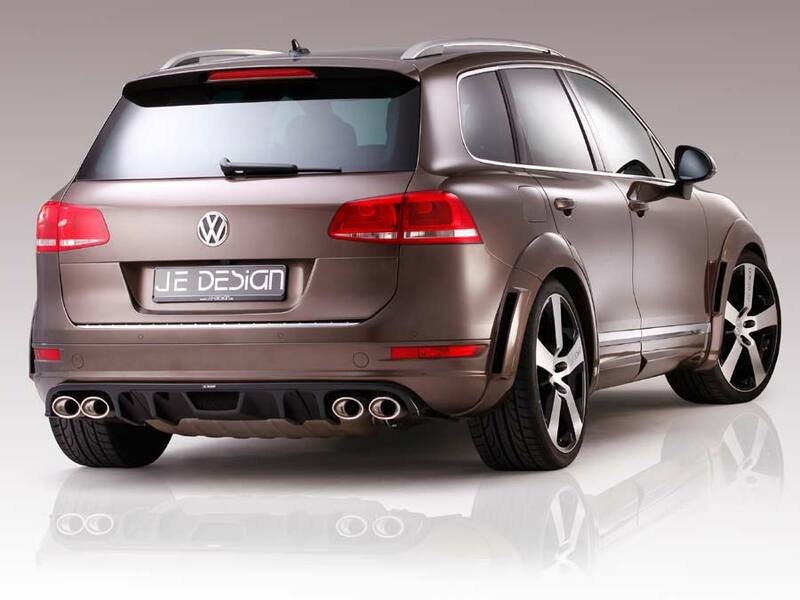 Output from the 3.0 L TDI can be increased from 240 hp (177 kW) to 285 hp (210 kW).